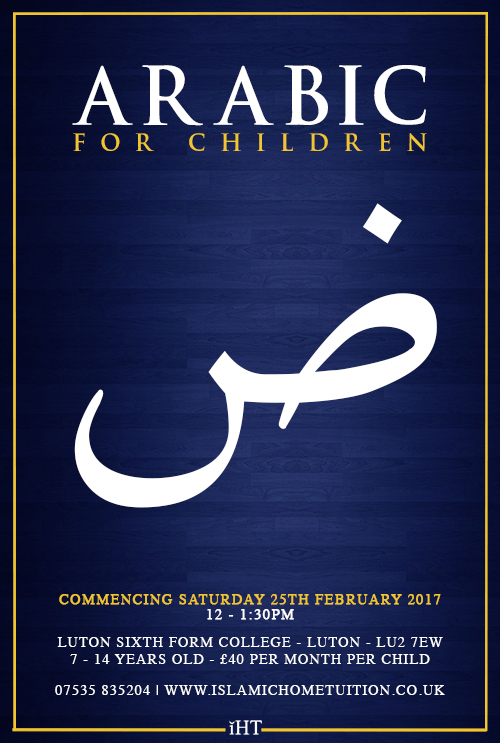 Arabic language for children is a course designed with the intention of producing students that are able to read, write, speak and understand. If this opportunity is taken and parents commit their children for long-term study of Arabic, then language will no longer be a barrier for accessing the Noble Quran. This is the ultimate objective of the course. The course has been primarily structured for students who are between 7-14 years of age. There is a preliminary stage for 7-10 year olds and a level one stage for 11-14 year olds. Students will progress to level two where they will study Arabic in more depth with Ustadh Noor ud-Deen inshaAllah. The course will run every Saturday and Sunday with the hope that regular exposeure to the language will be of immense assistance to the student.